You don’t need much to make a big batch of black bean soup when you start with a pound of dry beans. 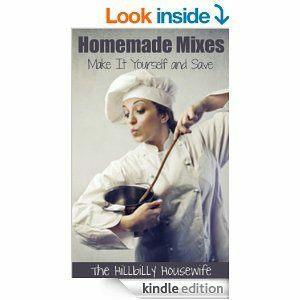 This is one of those frugal recipes that is in almost constant rotation in our house. The end result is always delicious and filling. 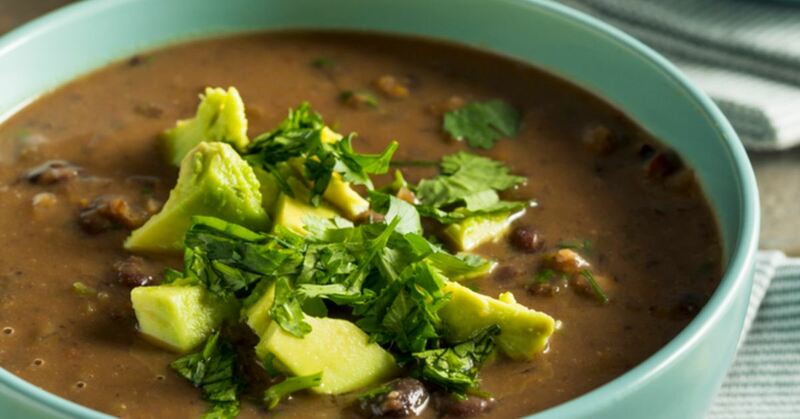 Don’t be intimidated if you’ve never made a batch of black bean soup from dried beans. It isn’t complicated and doesn’t take as long as you think to prepare. 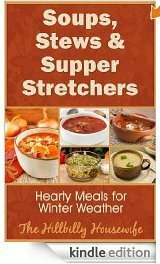 In just a little an hour or two you have a big pot of healthy soup ready to feed your family. This recipe is not hard, but it does take a little bit of time for the beans to cook. In a large pot, soak the beans in 2 quarts of cold water overnight, or in 2 quarts of boiling water for an hour or two. After soaking, or the next day, drain the beans and cover them with fresh water. Bring the beans to a boil over medium-high heat. Reduce the heat. You want the beans to simmer gently for most of the cooking process. Cover the pot and simmer the beans for an hour. Add more water if needed, to keep the beans covered. Taste the beans after an hour and see if they are tender. If they are, then you can add the vegetables now; if not, then let them cook another 30 minutes and try again. When the beans are perfectly tender add the vegetable oil, chopped vegetables and seasonings. Taste and add salt if you think it needs it. Put the lid back on the pot and simmer the soup for another 30 minutes, or until the carrots are tender. The soup will be rich and dark with vibrant colors from the vegetables peaking through. When everything is tender, it's ready to serve. Some people mash the beans a little bit to thicken the soup. You may do this or not as you like. I like it with dollops of yogurt on top, but it is also good with a few boiled egg slices decorating the top. Makes 8 to 10 servings. Ready for another good bean soup recipe? Try this Congressional Bean Soup next. Of course this isn’t the only thing you can make with dry beans. Here are a few more ideas. Dry black beans are a staple around here. They cook relatively quick (for dry beans), are very versatile, and most importantly delicious. 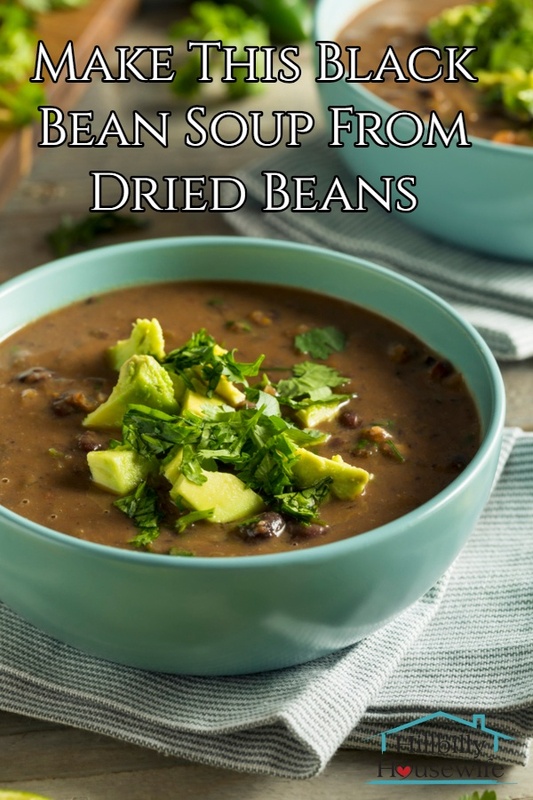 I hope you and your family enjoy this black bean soup from dried beans as much as we do. Let me know in the comments how you like it and feel free to pin the recipe for later.